The investigation into President Donald Trump's former personal attorney Michael Cohen included a request to use his biometric data to access his Apple devices, warrant documents reveal, with both the attorney's face and fingerprints needed to bypass security used in iPhones and iPads. The ongoing investigation into the Michael Cohen has led investigators to numerous potential sources of evidence, including his mobile devices and computers. According to recently-released warrant documents, that search extended to iPhones used by Cohen. CNBC reports an affidavit to support the warrant application reveals a sworn FBI agent requested a court to "authorize law enforcement to press the fingers (including thumbs) of Cohen to the Touch ID sensors of Subject Devices, or hold the Subject Devices in front of Cohen's face for the purpose of attempting to unlock the Subject Devices via Touch ID or Face ID in order to search the contents." A judge authorized the warrants, which covered Cohen's apartment and his office, including electronic devices and "any items or records needed to access the data stored on any seized or copied computer devices or storage media." Given the references to Touch ID and Face ID, it is almost certain the affidavit is referencing iPhones and iPads by the term "Subject Devices." Law enforcement has had mixed luck dealing with the courts -- and Apple -- with regard to accessing data stored on iOS devices. In 2016, a Los Angeles court forced a woman to unlock an iPhone using Touch ID as part of an FBI investigation into a gang member. 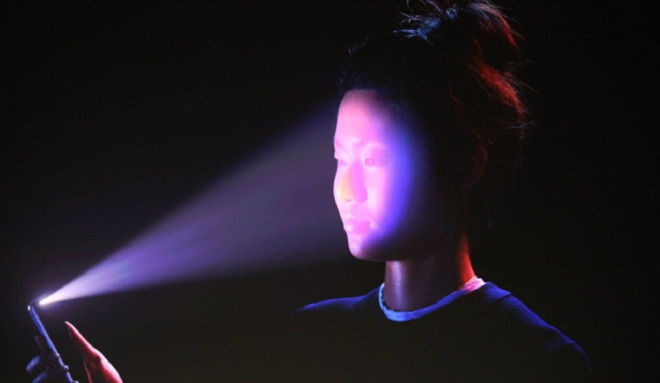 In January, however, a federal judge declared police cannot force someone to unlock their iPhone with either Face ID or Touch ID, denying one request to do so as it "runs afoul of the Fourth and Fifth Amendments." The judge also declared the government and its agents could not use biometrics to force an unlock of a device, due to the potential for self-incrimination. Refrain from the broad brushes, follow the rules posted at the bottom of every forum page, and the thread stays open. Whoa, a bit of a surprise that the warrant was approved in view of the recent Federal Court ruling. I'd have to assume the warrants pre-dated that? Not the first time someone’s constitutionally protected rights were violated in law enforcement’s unbelievable attempts to exercise control over President Trump. I’ve never in my life seen as much lying and lawbreaking in the pursuit of one President. Sounds more like what this President has done. Including continuing to push the lie that his predecessor was not American until he got what he wanted. Then the week after he was signed into office he admits it was false. If this warrant is outside of that court's jurisdiction, it doesn't really matter until a relevant court hears the case. The whole point of a search warrant is that it follows the legal procedure required. If it is granted then everything is above board as it was in this case and no need to hack into his devices. I stayed at a Holiday Inn Express and watch Blood Bloods so I am qualified to comment. Also, that ruling is an anomaly and kind of a stretch, logically, imo. Biometrics have generally been fair game - it's passwords that are not, because they are personal knowledge and akin to testimony. That claim wasn’t against the law. It was an opinion. Not remotely comparable. Law enforcement must adhere to the law. Presuming the warrant postdates the aforementioned decision, it would appear that SCOTUS is going to have to weigh in. When courts, especially courts of appeals conflict on Constitutional matters, it leads to a patchwork, until SCOTUS plays referee. And by the way Trump simply asked was to see his birth certificate. Something the past administration spent millions of dollars and months of fighting over to keep hidden instead of just presenting it. Seems like a simple request. If you're referring to the decision from January from the ND of CA, a federal district court decision doesn't establish binding precedent except, perhaps, within the same district. Also, different cases could present substantially different facts which could support different findings relating to, e.g., the forgone conclusion doctrine. So, even applying the same legal principles, compelling someone to use biometrics to decrypt something might be allowed in some cases and not in others. SCOTUS is may not be non-partisan these days sadly although I live in hope. Just because something may be deemed constitutional or unconstitutional doesn’t mean the justices have no personal point of view. That has always been the case. One might argue the Supreme Court holds far too much power, but again that has almost always been the case. This has no bearing on the topic at hand, at all. If there is any progression on this topic, proceed at your own risk. Sort of like the request for Trump's tax records? Seemed like a simple request? No? Give me a break..
Yeah, those dates don't actually support Trump's "ask", as the matter was settled in 2008, when the President first released his Birth Certificate. Settled for people that have cognitive skills, anyway. What’s the difference between forcing biometrics and forcing a suspect to give their passcode?